In the latest Super 6 Class of '92 Diary, Gary Neville explains why he won't be returning to coaching, discusses Salford's youngsters and looks ahead to Croatia v England. You've got to give it to Croatia in the World Cup game, they played extra time in two previous games and then to be able to go again they just had a great spirit and obviously they're a talented team. They were two good teams in Russia and it was pretty very even, but I think Luka Modric was just the difference in that match as he brings a composure to the game that just doesn't exist in the English game unfortunately. The fact is that Modric is the best player in the world officially now and we just lacked that composure, the guile and that know-how that I think a couple of that Croatia team have in Mandzukic, Rakitic, Modric and Perisic - they've played in Champions League finals and been around the block in the highest quality games and that's what England are just lacking at the moment. I don't think England are producing players that know how to control a game. I don't think England are producing players that know how to control a game. I've always said Paul Scholes is the best player I've ever played with and most players who've played with him say the same - in fact, a lot of the players who've played against him say the same. He did something that none of the rest could do and that's control the tempo of a football match and when we talk about England not controlling a game, that's the thing the likes of Pirlo, Modric, Xabi Alonso and Xavi can do - they're the type of players you need at international level if you want to control games. 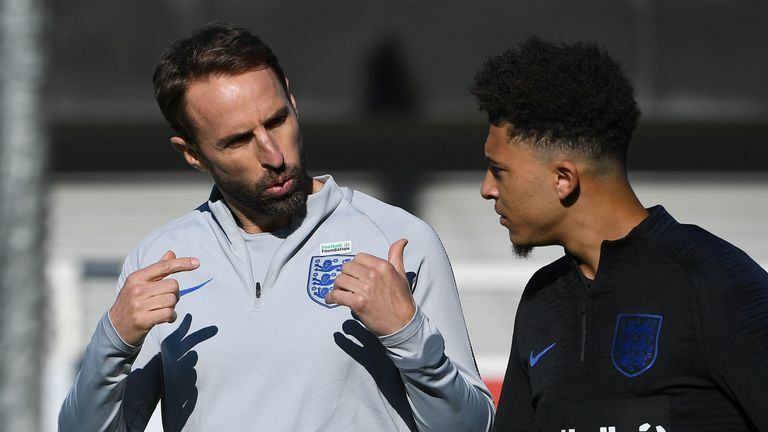 If you look at England's players coming through, there's a lack of understanding about what controlling a game is and that can really influence the tempo of a match and make a game move at the pace they want it to. It's about when to play long and when to play short and our players don't seem to be able to know how to dictate the pace of games at international level. My view is that it's a talent that just doesn't really exist in this country. The big thing I wanted to mention this week is that I went to watch the first half of the Manchester Senior Cup against Ashton. It brought great pride as it was a team of young players from the youth team, or who've been on the bench recently, and I thought they were fantastic. Obviously the first team has been going great recently, but it was great to see the depth in the squad and also seeing five or six of our Academy 92 players playing and coping with playing at a very good level, so it's been another good week. It was brilliant to watch the young lads getting a go in the senior environment and great to see them do well. John Terry's the latest ex-pro to join the coaching ranks, but before people start asking, no, I won't be going back to coaching. My path's set now in terms of my work in the media, Salford City and the business I'm involved with, my path's set for the next three or four years. You've got to immerse yourself in coaching 100 per cent and I must say the lads who are doing that now are doing just that and good luck to them. People can't get the heads around it when I say that, although it was one of the most difficult experiences of my life, it was one of the best experiences of my life in terms of learning about myself and other people. Being at the forefront of decision making, being in a different county not knowing the language, it was an amazing experience and I look back at it now and I'm glad I went through it. I wouldn't have been able to live with myself if I turned down the chance and didn't do it, you could argue that I wasn't prepared, I didn't speak the language, I wasn't qualified or experienced - all those things ring true, but I'm glad that I did it and ultimately, although it was the right thing for me to leave, I have taken huge positives out of it. Did Vertonghen sweep Silva's legs?